12.11.2007 - While the crisis of Ribarroja endures, Slagelse show an improving form. The Danes win by 14 goals. 29.10.2007 - Podravka Vegeta won by five goals at home against Ribarroja after a close first half. 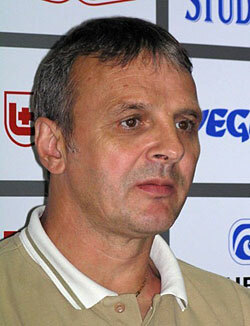 23.10.2007 - The coach of Cem. La Union Ribarroja talks about their chances in the Champions League group stage starting this weekend.